The largest international medical technlogy exhibition Medica 2018 will start its work at Messe Dusseldorf (Germany) on 12th of November 2018. 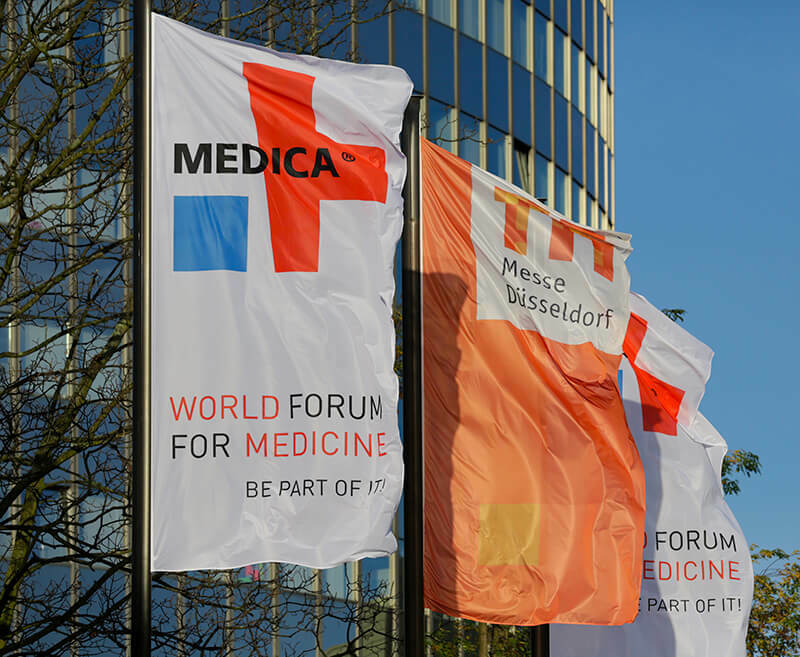 Medica – one of the largest and most world-renowned medical technology exhibitions. Messe Duseeldorf will exhibit various novel medical devices, hospital and laboratory equipment, achievments of the pharmaceutical industry, medical furniture and clothes for hospitals, construction projects of healthcare institutions, specialized office equipment and even much more. We invite all colleagues, visitors and exhibitors to join Ai Mediq on the Joint Booth of Ministry Economy of Luxembourg (B70, hall 3), to undergo the procedure, see the developers of the our hallmark product – Device for Interval Hypoxic Hyperoxic Treatment – ReOxy.